The Milwaukee 7 Economic Development Partnership is dedicated to making the region globally competitive, supporting high-value employment and fostering a vibrant quality of life. We do this by working to grow, expand and attract jobs and capital investment to the seven counties of Southeast Wisconsin. In the past five years a lot has changed in the Milwaukee Region and in the world. The pace of global engagement continues to accelerate. How and where work gets done is evolving. We understand the strengths of our core exporting industries and we are supporting them in new and innovative ways. But our success will be dependent, as it always has been, on our people. 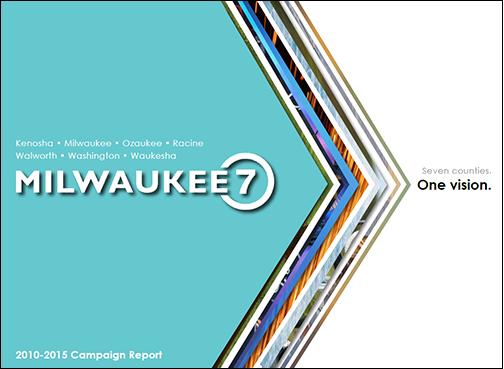 The Milwaukee 7 reached — and exceeded — its goals in the past five years and we are poised to accomplish even more in the next five. We are competing against regions from around the country and the world. Working together, we can ensure our futu re prosperity.